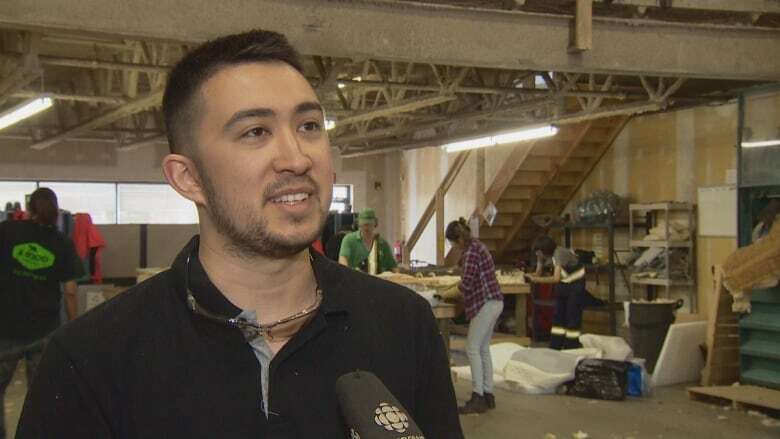 An Edmonton not-for-profit mattress recycling operation is providing work for some of the city's poor while helping the environment at the same time. Justice Faithful never imagined he would be making a living wage in a job he loves during the time he and his mother were going to a west end drop-in centre for help making ends meet. But several years later he's a key member of the team at the not-for-profit Edmonton company that grew out of the centre that helped put his life back on track. "I get my mom her basic needs now, and me more than my basic needs, which is great because not many people can say, 'Hey, I was on the verge of being homeless," Faithful said. Those tough times as a child and the financial struggles he went through are behind him. Now he's stripping down mattresses as one of 24 full-time employees with Redemptive Developments. "There is never a bad day," he smiled. Faithful, 21, was born and raised in Edmonton and is a member of the Frog Lake First Nation. He's also part of a warehouse operation which rips apart about 200 mattresses every day. 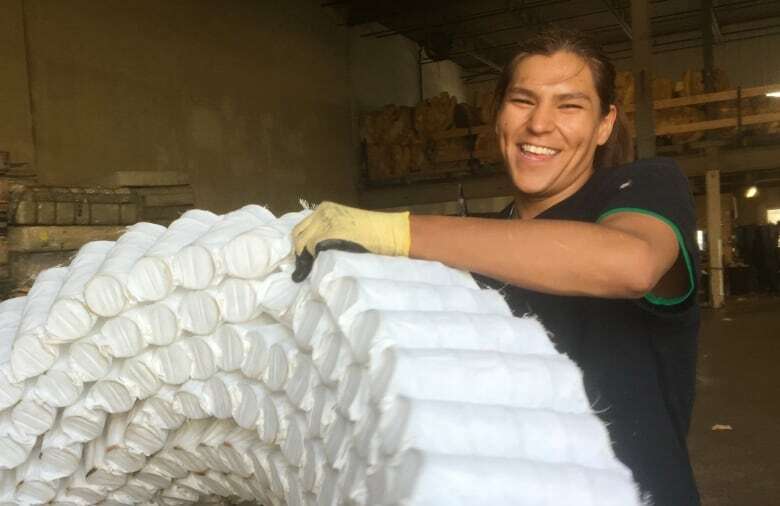 Most of the mattresses that arrive at the west end warehouse are from the City of Edmonton, which pays $15 for each mattress to be recycled to keep them out of the landfill. Redemptive Developments has bins at the city-owned landfill to collect the mattresses, which are then trucked to the warehouse. Bed and furniture stores, universities and even hotels also have deals with the not-for-profit to send their old mattresses for recycling. 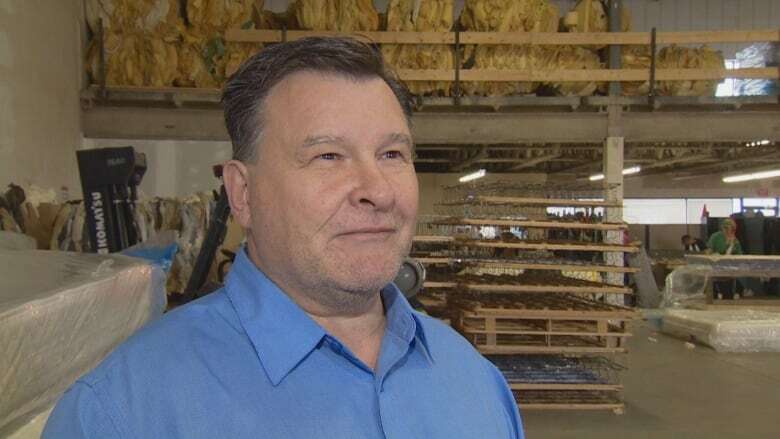 "You can recycle 85 per cent of a mattress — you can take the foam out, the metal out, the wood out and about 15 per cent returns to the landfill," said Redemptive CEO Murray Soroka. Soroka, who's also the executive director of the Jasper Place Wellness Centre, set up the business as a way to create work for the people he was finding housing for. "They are people that have been in our housing-first program or find themselves unemployed and vulnerable — we seek those people out," Soroka said. The business started in the summer of 2015, but really ramped up its recycling efforts after signing a contract with the city six months ago. Every mattress that comes into the warehouse is manually taken apart by the workers. The foam is machine-pressed into 1,000-pound bales and sold to a Calgary company to use as a carpet underlay. The metal springs are sold to a local foundry to be melted down and re-used, and the wood is simply given away. "We believe in five years we will [have] recycle[d] a 25-storey building of mattresses not going to the landfill," said Soroka, pointing out his estimate is of the height of the mattresses when stacked horizontally. Redemptive Developments knew from the start it would have to be patient with its staff, considering some of the workers have never held down a job before. But so far its approach of being flexible at the beginning seems to be paying off. "We're getting them accustomed to ... coming in to work on time every day, working with others, social skills that may be they didn't have previously. We mentor them through those types of things," said Colton Martinkus, the warehouse manager. The business model hasn't turned a profit yet, but if and when it does all proceeds will go back to the community. The most important thing for Soroka is that his employees are getting a chance at making a living wage of $15 an hour, while at the same time helping the environment. "I think this is a win-win for Edmonton as a city," he said. Justice Faithful is proud to be a part of the operation he said has given him new skills and a new outlook on life. "These wonderful people here have taught me to respect everybody, and at the end of the day we're all like a family."